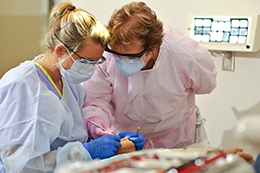 The Dental Hygiene Clinic is located at the Savannah campus. Parking is available in the back of the campus near the Eckburg Auditorium. Clinic hours vary each semester. Please call the clinic (912.443.5351) to make an appointment.